Your iPhone has a feature where it is able to announce incoming calls. 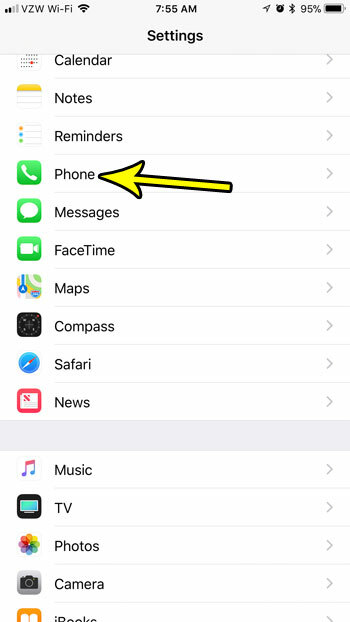 This is helpful if you are in a situation where you can’t look at the device to see who is calling you, or if your iPhone is often far away from you and you want to know if you should bother checking an incoming call. 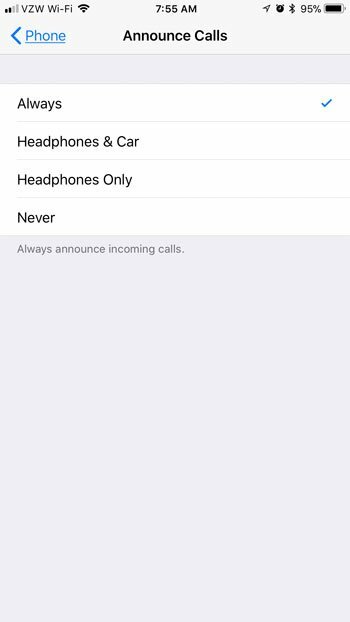 It’s likely that this feature is currently disabled on your device, but you can choose to turn it on so that all future calls are announced, or that calls are announced when your iPhone is connected to your car’s Bluetooth, or when you are listening to something with headphones. 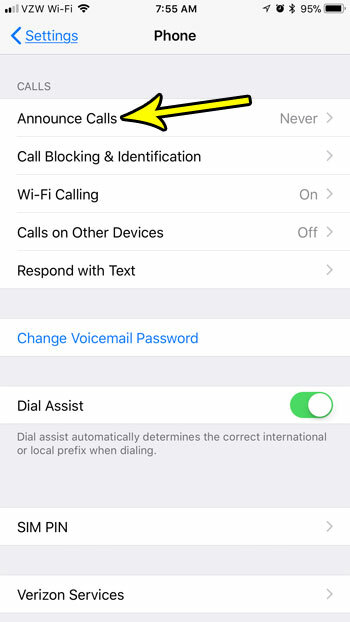 Our guide below will show you where to find and adjust this setting so that you can have the call announcing setting that you want. The steps in this article were performed on an iPhone 7 Plus in iOS 11.2.2. This is going to change the behavior of your phone where the device will announce an incoming call. You have a few different options for how you want this to work, so you will be able to select your desired setting in the last step of the guide below. Step 2: Scroll down and choose the Phone option. Step 3: Touch the Announce Calls option. Step 4: Tap the option that you would like to use for your iPhone to announce incoming calls in the future. 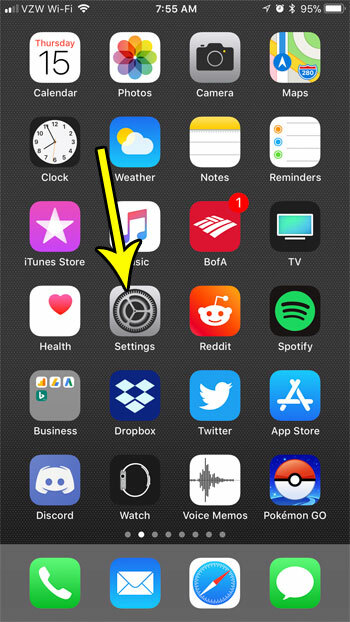 Have you previously let someone use the Personal Hotspot on your iPhone so that they could connect a device to the Internet, but you don’t want them to be able to do so anymore? Find out how to change the Personal Hotspot password on an iPhone to prevent people from using your data unless you choose to give them the new password.